This entry was posted in Assurance of salvation, Bible, Billy Graham, Calvinism, Chan, Christian, Christianity, David Platt, Eternal Security, Faith, Francis Chan, Free Grace, Grace, Hope, John MacArthur, John Piper, Lordship, Lordship Salvation, Once saved always saved, Paul Washer, Ray Comfort, Reformed theology, Rick Warren, Salvation, SBC, Security of believers, Southern Baptist Convention. Bookmark the permalink. I can see I didn’t do a great job of explaining myself above, I’ll try to re-read my posts next time. Jim, that was another great list, there is so much more sadly that could be said about their double-minded thinking. Much contradiction in their doctrine vs. the plain truth of Scripture. They use their convoluted circular reasoning to support their faulty interpretation of Scripture, asking loaded questions, again, to bolster their flimsy case. They avoid plain teaching on the gospel that saves, and label passages such as Matt 7:13-14 and James 4:6-10 and call them THE gospel (MacArthur). These men cannot be unaware of what they are doing. I can’t help but think of men like Washer, MacArthur, Piper et al, when I read these passages. They don’t seem to take heed to either passage. Excellent summary of the twisted teachings of Calvinism. We have covered most all of these points in multiple articles but it is devastating to the cause of Calvin to see it all summarized in a couple of comments. It seems the standard of Calvinism is their two legged stool of “sovereignty” and “election,” (“two legged” because it cannot stand on its own without man’s effort). In spite of Calvinists insistence and, like so many words they invent, the word “sovereignty” is not in the Authorized KJV Bible, which is no doubt the reason they must write their own “bible” versions. “Election” is a Calvinist “love-word” which they mangle and twist to make (as both of you have said) the elect have no choice but to “believe in Jesus” – and the “non-elect,” (everyone but Calvinists) have NO CHANCE to believe. I have also heard this before from Calvinists. It is troubling for sure. 3) then you will believe”. 4) If you really believed, you will know it by persevering. You make a good point with these. People like Idleman and MacArthur will get the gospel to include discipleship and perseverance because they start with the false notions surrounding election. Sometimes this also means that they are working from a non-dispensational perspective. When that happens, it is hard to reason with them. If a person has a “counterfeit” gospel message then there may also be difficulty in dealing with them with the following. 9) Disagreements and logical inconsistencies get passed off by: saying it all falls back on God’s “sovereignty”, saying it is a deep mystery that we can’t understand, saying that we must do something because God says so even though we’ve made it make no sense – (for example, believing or witnessing). The list could actually keep going on but I think these are the key points. I’ll post this at my blog so that it can be a lead in to my article on perseverance. I put it here as well because it fits in well with your comments and John’s original idea about counterfeits. I would use the argument the Calvinist’s always use regarding the word “believe”, they say “so do demons, they believe there is one true God and tremble, but they aren’t saved”. They always leave out the initial part where James tells the believers they “do well” to believe this. Otherwise they would not be preaching their full gospel which is no gospel at all. Serious issue there. It’s not the same gospel they are “believing” and they are in no better shape then those same demons they frequently compare those of us who simply believe on Him with. I see potentially what you are saying assuming definitions are the same but I agree with Jack in that Calvinists often have different meanings of grace and faith. Contrary to free grace they often describe grace as a special force or things that God uses to effect something in us. Likewise they add to the meaning of faith by changing it from a simple response of belief to the gospel to some kind of repentance from sins, deeply sorrowful, change of course that culminates in making Christ the Lord of their life and thereby accepting the terms of discipleship. Believe it or not I have heard popular Calvinist preacher inject these meaning into the idea of faith. Many sound quite spiritual doing it but it all flows from a faulty starting point. You are correct that the ending point of perseverance of the saints is way off. The reason it is so off is because there are numerous missteps on the way to it. It is doctrinally impossible that ANY of the Calvinist TULIP (not just the “P”) is accurate Bible doctrine. NONE are Biblical. ALL of Calvinism is a false gospel or “another gospel” and accursed. The sticking point I have with that is that Liz means something entirely different by her statement and does not think one must make a decision to believe in Jesus and thus be eternally secure. She and Calvinists like her somehow believe regeneration, faith and eternal life are mysteriously imbued upon whom they call “the elect.” Election has no part in salvation — but means elected to service for the Lord, those who are already saved. Another way of explaining this would be: XYZ can believe God is in control of everything, but that is irrelevant to XYZ. The gospel that XYZ shares is still the same message that one must make a decision to receive salvation by grace through faith. The differences will be between free will and no free will, free grace and irresistible grace, etc. Those are issues outside of human control. Those are important doctrinal differences, but the content of the gospel still remains the same. Saved by grace through faith, not of works. I believe the Calvinist gospel becomes a false gospel when the “P” of TULIP gets added in. That assumes perseverance in belief, good works, and no assurance of salvation. Those were excellent points, and like Jack, I never thought of putting those verses together to show that God does not elect people to heaven or hell. The reason I would let Liz “get away with it” was because she clearly stated that salvation was by grace through faith and is eternally secure. From a free grace standpoint, yes, believing in ” salvation by Grace, through faith, while simultaneously believing that God has elected some to heaven and some to hell” is irreconcilable. However, for those that don’t budge on these issues, there are some who believe God is in control of everything but has still designed salvation to be received by grace through faith in this universe. It is their idea of the paradox between man’s responsibility and God’s “sovereignty.” I believe Liz views it that way. I am not agreeing nor defending her, but I hope to show that despite her believing God elects some for heaven/hell, she can still share with others that one must make a decision to put his/her faith in Christ as Savior. While that decision would be a forced decision by God, whomever she may share the gospel with still has a decision to make this present day regarding trusting Christ as Savior. Hope I explained that clearly. Thanks — I have never thought to put those verses together to spotlight the fallacy of Calvinism. Excellent!! Do you mean that you love these mens’ teachings? If so, are you aware that they teach false gospels (at least in the cases of Washer, Chan, and Piper – I haven’t looked into Rushdoony)? Also, I am having a difficult time reconciling how someone can believe in salvation by Grace, through faith, while simultaneously believing that God has elected some to heaven and some to hell. If God elects someone to Heaven, then that person has been saved by Grace, but not through faith. Rather, it is by Grace – period. There is no role for faith. Why would the Lord instruct people to “enter the straight gate” or “strive to enter the straight gate” if He had already elected who was going to? If you do not agree with the theology presented here — fine. You seem to be only Calvinist in the sense that God has elected some for heaven/hell, and that’s how it plays out in this world. You believe that you are saved eternally by grace through faith in Christ, and that shows you are not a true Calvinist. True Calvinists claim that assurance of salvation is not possible in this lifetime, because it requires perseverance. From your comments, it seems like you will continue preaching the gospel of grace to your friends and family despite any doctrinal differences. There are, however, details in Calvinism (like Jim said “ripple effects”) that can make these differences a big deal in terms of the content of the gospel. So please do not misunderstand the tone of the comments — it’s more urgency and concern than anything. Then either she is not catholic, or she doesn’t really believe in Christ’s finished work. Catholicism according to the Vatican (and the Vatican is the official voice of catholicism, no matter what anyone says), states that works are required to be saved. Thus, either your grandmother isn’t catholic, or she doesn’t believe in Christ’s finished work. Catholicism is not Christian. Catholicism cannot save in any way. Thus, I would say your grandmother needs to hear the Gospel of Jesus Christ. I say that not to be insulting. Eternity is far more important than a set of temporary offended/hurt feelings. I’ll pray that you can one day see that faith is not the gift of God but that salvation is the gift with faith being the way we receive that gift. It is not that people holding the “faith is a gift” view are necessarily unsaved or anything but it is that one false step can lead to others. So much so that the gospel can become something it is not. That is what burdens me so much about Reformed or Calvinistic theology. Before you know it people are trying to prove that they are “one of the elect” by their works rather than simply putting their trust in Christ based on the gospel. The reason we feel so strongly about error is because the ripple effects can change the gospel message. It can also distort man’s view of God which has ramifications in Christians’ lives as they continue in their growth. I have had friends that have gone off into these kind of views even stating that faith is a gift but we found little in common with one another pretty quickly and found new friends that believed more like us. That is usually how things go. Remember, IF God miraculously and mysteriously imbues salvation upon an individual without the individual’s decision or choice and in a way “we do not understand,” then you also must admit that you believe God REFUSES to mysteriously imbue that same salvation upon others who are not as “blessed,” thereby God Himself leaving them condemned to hell. (John 3:18) Such an idea is philosophical elitism. That is not my God, Who is The God of Love — and His Love is for the whole world. Everyone has the same choice to believe in Jesus. Liz, the Bible is full of choices we should make but I fear you have somehow been charmed into making wrong and un-Biblical choices. There can be no “unity in the Spirit” when one disagrees with the very basics of God’s Salvation — by Grace alone, through one’s personal faith decision alone in Jesus Christ alone. That is God’s Grace. John, if anyone actually reads what you said here, it would have to hit them between the headlights, and dawn on them that it is true. So, God does not choose anyone to be saved. If He did, John 3:19 could not be true. The person whom God has chosen, if he is not yet a believer, is condemned already. If God has chosen him, and he is not yet a believer, he would not stand condemned. Very astute John… thank you. I would like to add, that if we believe our understanding of Scripture to be right, and we do nothing in the name of unity, then we are guilty and could cost people their lives. That is a false unity. Can two walk together except they be agreed? On the matter of salvation, we cannot compromise, because only the truth will set people free, so who are we to compromise on a little truth? We can’t, and not sure how anyone can who believes they know the truth contained in His Word. I am familiar with Catholicism, which places faith on seven sacraments of salvation. You cannot rest on Christ’s finished work when there is multiple works to do in order to possibly be saved. Because it is a venial sin for Catholics to say they are saved. And you cannot believe alone on Jesus Christ as your Savior. It is not the Catholic way of salvation. And if you partake in the eucharist, you are putting Christ to death again every single day if you understand the Mass. Someone might be saved in the Catholic church, but I’d be concerned for your grandmother’s sake. Be sure she has done what you think. At the risk of angering people, all here speak out of love and concern and fear and trembling in handling God’s Word. We just cannot stay silent, even at the risk of offending which happens quite often. But much more is at stake than whether we offend. if thou sayest, Behold, we knew it not; doth not he that pondereth the heart consider it? and he that keepeth thy soul, doth not he know it? I pray for your children’s sake, you will consider the implications of what they may be learning from you. I do not say that to anger you at all, just in the hopes you will prayerfully consider if there is any truth to what is said here. Who is the agent that fits the vessels of wrath to destruction? I believe the agent is the vessel itself. In other words, God does not choose the person to be unsaved. The person rejects Christ, and is therefore self-condemned to destruction. Why would God endure them with longsuffering? So, a cursory reading of Romans 9 may cause someone with a Calvinistic perspective on predestination to believe they have found a proof-text. Yet, a careful reading will rightly divide the word of truth. We differ on what brings about that belief in Christ. Either of us could accuse the other of preaching a salvation of works, but in the end, my original comment still stands, I am dismayed that on this disagreement, there is an assumption that because of that difference in understanding of scripture, one, or the other is NOT right, and therefore NOT a part of receiving God’s Grace. We preach the same gospel, as Paul said, we both preach Christ, crucified. Thank you for your prayers, and I will pray that you, and yours, will realize that God brings us to him in ways we do not understand, or cannot predict. I don’t doubt your salvation, that is between you and God, and I do not doubt mine, as that is between God and I. I hope I have made my point clear, in that the divisiveness is not something I seek, but something you name. Paul spoke often of division and its poison in the church. Passages like 1 Cor 1, Titus 3, Romans 16, Ephesians 4, all come to mind. Peter’s words in 1 Peter 1, also come to mind. As Rushdoony said, there are those who work for reconstruction that don’t know they are. Partnering with, and loving our brothers and sisters in Christ is something we must do. I am not God, and how can I say to him “What are you doing?” I trust in his work, and that he knows his sheep, and his sheep know him. Thanks for the extensive reply. Obviously we disagree on several points. We rarely allow a commenter preach a long, divisive sermon on their Calvinist beliefs but out of compassion for you and your kids we will contend for the faith of Salvation in Jesus Christ. I will address a couple and ask our friends here at ExP to kindly address others. a) VERY IMPORTANT: Please detail our “faulty theology.” That is a serious charge and not to be dismissed flippantly. b) You say you have believed in Christ, and know you are going to Heaven; that is obviously a decision you made at one time. Calvinism says everyone is so Totally Depraved (“T”) that a person cannot cannot make such a decision. So obviously you are not a true Calvinist on the “T” either. “For God so loved the world [you and your kids], that he gave his only begotten Son, that whosoever believeth in him [Jesus] should not perish, but have everlasting life. For God sent not his Son into the world to condemn the world; but that the world through him might be saved. You would never want to find Heaven yourself in Heaven because you made the decision to believed in Jesus but realize that your children are not there because they never made that decision to trust Jesus as Savior!! It is not God’s will that any should perish. (2 Peter 3:9) But to prevent that perishing, one must believe. Liz, do you understand how many times God’s Word begs us to “believe” — a decision one must make — or be condemned? Believing is not something that is mysteriously imbued and comes upon a person from God – but must be a conscious decision by the individual based upon knowledge of the Gospel of Jesus. God’s Holy Spirit convicts us of our need of The Savior but does not force us to believe. We pray you will see the clarity and Love that God has for the whole world — but specifically you and your family as he begs you, your husband and kids to make that decision. 1) Yes. I am positive at this moment, and forever, that I will go to heaven when I die. I know this because I do believe in Jesus’ completed work at the cross, and his victory over sin and death, Although I am not immune to lapses of human sin, I do see a constant work of the Holy Spirit in my life. There is a constant cycle of conviction, repentance, and sanctification in my life. I am not perfect, but God is working. 2) Wow, this question has a host of presuppositions. I do not know how, when, or what God’s plan is, and I certainly do not espouse the view that one must be a Calvinist to be saved! Salvation is completed at the cross, and when we believe on Christ’s finished work, we are saved. Theology is not something that saves us, but a result of study. My Grandmother is Catholic. I differ with her on theology, but I know she believes in Christ’s finished work. My parents are Arminian, and I don’t doubt their salvation either. I am not a hyper Calvinist, or so arrogant as to believe that only I, and others who agree with me on every point, are theologically correct. I do believe though, that those who do NOT believe that Christ has paid for their sin, and had victory over death, are not saved. Jesus said he is the truth and the life, and no one comes to the Father but by him. “Nay but, O man, who art thou that repliest against God? Shall the thing formed say to him that formed it, Why hast thou made me thus? As regards my children, I do appreciate your genuine concern for their salvation, in fact, I share it. That is why I teach them about Jesus, his work on the cross, his ministry, and God’s overarching plan for man. I do not presume to know which of them will come to Christ, when that will happen, or how. I just faithfully follow the Great Commission in my own home and leave the rest of God. Who am I to understand God’s purpose for their life? His plan for what they do between their birth and death? He has a purpose for each one of them, and I trust it is for his Glory. As for their baptism, although I agree with Calvin on many points, I do not believe that infant baptism is a Biblical concept. Scriptural principle points to baptism as a public display of a private commitment. A moment to publicly declare the Work of Christ, and follow his example. I think that I am quite misunderstood, in that most of your comments presuppose me to be a hyper calivinist who is so invested in the idea of God’s Sovereignty that I hide under a rock and wait for it all to be over! Which is just as extreme as the Arminian who hides under a rock to wait for Christ to come and get us all out via the rapture! God’s Word commands us to do many things, offers us many practical ways to apply his wisdom. How to raise children. How to treat each other, how to do business, how to conduct ourselves with those who disagree with us. I do believe that applying his Word to all areas of life and thought is paramount, and his Word tells me to teach my children his laws. To preach the gospel to them. Just because I believe in his Sovreignty does not mean I assume I should just assume that because he has a plan for them, nothing I do matters. I am a part of that plan. Scripture says so. God has ordained parents to be a part of that plan. As for KJV, ESV, NIV, whatever translation any of us use is just a translation. The original language is the place to go when quibbling over theology. I respectfully decline to argue over which translation is really the Word of God, and which is not. Thank you all for your concern for my children’s salvation. It is kind, and speaks well of your urgency for the gospel and the great commission. I may disagree on theology with you gentleman (my husband has read these comments and advised my answers beautifully. ❤ ) but that does not preclude that despite some faulty theology you are all not my brothers in Christ. Romans 14 comes to mind. Why? If they are not saved, God has not forgiven their sin. He will not forgive their sin unless, and until, they have believed in Jesus alone as Savior. The Calvinist concept of “irresistible grace” make “faith”, rather than “eternal life” the gift of God. Liz, what if your children were predestined to go to hell? Would you rather they know that they are not saved, and can’t be, because they can’t choose to be? I am sure John will answer your answers. You keep using the word “sovereignty.” Please point out in the King James Bible Scripture where it mentions the word “sovereignty.” It is an un-Biblical Calvinist catchword concept. I realize that in Calvinist Bibles (ESV for one) they have mistakenly translated words to reach that definition. But let’s be fair and use the most reliable and most used Bible in the world, the KJV. I commend you in raising your children in the Word — “in the hope that they are saved one day.” But how do they or you know that they are chosen by God to be saved “in His sovereignty”? You have a choice and they have a choice. Don’t you think they would be better off if you shared the many, many scriptures where the Lord begs unbelievers to make that one-time decision to “believe on the Lord Jesus Christ” for Eternal Life, a decision THEY must make. Do you believe your children will be chosen to be saved because you are a chosen Calvinist — and or they were christened or baptized to be saved as Calvin taught? Praying for you — and your children especially. 1) Are you, right this moment and forever, absolutely sure that you will go to Heaven when you die? And please explain how you know and why. 2) How do you personally know that you were chosen by God to be saved and why not me or my neighbor (all of whom are not Calvinists or “chosen”)? 3) Why do you believe that God chose some folks to be saved and deliberately left others to unbelief and go to hell? There are many more conflicting and un-Biblical Calvinist teachings from the man, John Calvin, with which we disagree. I understand that perspective, and I would wholeheartedly agree with you that salvation is not derived by any work of man, only through the work of Christ. I do think that from my understanding of calvinism, that your description of it mistakes a few points of calvinistic belief. In studying calvinism at length, and going to scripture to confirm or disprove Calvin’s ideas regarding things like predestination, election of the saints, etc, I am finding that scripture does teach these things. The only point in T.U.L.I.P. I have yet to find scriptural support for is the idea of Limited Atonement. In any case I do appreciate and understand the urgency of preaching the gospel purely, and according to scriptural principles. Could it be possible though, that you have assumed things of Calvinism that aren’t true? I don’t think it purports salvation by works at all. In fact, by acknowledging God’s Sovereignty, it states explicitly that man has nothing to do with completing the work of salvation. I do not believe that by measuring my consequent works, it proves whether I am saved or not. I fall. I sin. Paul even struggled with sin. I think Paul Washer, and others like him, hesitate to assure salvation based on a “sinner’s prayer” and reject the Arminian idea that choice is what completes salvation. As a Mom who is currently discipling young children, (my oldest is 6) and working daily to teach them of God in the hope that they are saved one day, I do not wish to assure them of a salvation that simply isn’t there. I don’t want to falsely assure them. I simply preach the gospel daily, and when they sin, I encourage them to take it before God. They will tell me when they are saved, I won’t tell them when they are saved. I will, however, take them at their word when they tell confess with their mouth that Jesus Christ is Lord. measureofagift, welcome! Your honesty is refreshing! The Gospel (the death of Christ FOR OUR SINS, His burial, and His resurrection) is a specific message, with unique content, that uniquely carries the power of God unto salvation to all who believe. So, what does “believe mean”? It means that one understands that he is alienated from God because of sin – in other words, he knows he needs a Savior. It means believing that Jesus is God, that He paid the full price for our sins, leaving us NOTHING left to pay ourselves, was buried, and was physically resurrected from the dead. It means believing that salvation is the gift of God, through Christ Jesus, bestowed only on those who trust in Christ alone, and renounce any and all confidence in their works contributing to their salvation. It would be nice to think that preaching the gospel inaccurately by adding conditions (such as “turning from sins” or “committing one’s life to Christ”) as requirements for salvation would not have disastrous consequences. Unfortunately, though, that is not the case. Which is precisely why there are such stern consequences invoked against changing the Gospel (see Galatians 1:8-9). If someone thinks he must “bring something to the table” – in the form of turning from sins, changing direction, surrendering to Christ’s Lordship, etc., he is by definition not accepting God’s offer of salvation by Grace, through faith. Instead, he is viewing salvation as a trade. Works. We cannot go to heaven that way. In other words, by adding to the finished work of Christ other requirements for salvation, one is rejecting the Gospel – specifically, that Christ died FOR OUR SINS. The Bible is explicitly clear that Grace and works are mutually exclusive for salvation. Believing in Jesus for salvation means believing in Him alone. It is impossible to believe in Jesus AND something else (works, promise of works, or evidence of works later on). Why do you think there are so many scriptures dedicated to discussing faith versus works? For the record, I am neither Calvinist, nor Arminian. Both of these false theological systems teach salvation by works. In the case of Arminianism, the belief that one can lose salvation through sin is inconsistent with believing in Jesus. If one believes he has to avoid certain grave sins in order to remain saved, then he is trusting in his good works – not Jesus – for salvation. In the case of Calvinism, the belief that a true Christian will persevere in holiness and good works is inconsistent with believing in Jesus, because it makes someone examine his works in order to believe that he has indeed been saved. Again, as in the case of Arminianism, Calvinism focuses on human effort (works) for salvation. So, I believe it is helpful to defend the Gospel in its clarity. I do not consider this bickering, or arguing, but the most sacred responsibility I have as a believer! Of course, as you have surmised, we here at ExP disagree with Calvinism, Arminianism, Paul Washer, Francis Chan, John Piper, Platt, et al… not because we like to argue but because they all preach a doctrine contrary to to the precious Gospel of Grace plainly pronounced in Scripture. We are contending for the Truth. I am sure some of our readers will have specific questions, observations and comment for you about your post. I’ll come right out and say it, I am a calvinist, and I love Paul Washer, Francis Chan, Piper, Rushdoony, the list could go on. But one thing I will say is the one thing I see in this set of comments and on reformed web pages is the constant accusation that the other side is “not saved” and preaching “a false gospel.” I have to say that frustrates me. God can save us despite our shortcomings and inconsistencies. He can save us, even when our understanding of the salvation plan is incomplete. You are right, scripture says if we believe in Jesus, we are saved! It doesn’t say “if we believe on Jesus, but don’t preach repentance first.” or “If we ask Jesus into our hearts, he’ll come right in.” It says if we believe. Salvation is a work of the Holy Spirit. He will bring us to that belief. But we are STILL sinners, and we still get things wrong! Although I am a Calivinist, I don’t think I know everything about scripture. I’m not even positive my position on theology is 100% correct. I’m not arrogant enough to think that. But I DO know that God IS sovereign, and he can, and will, work despite my human shortcomings. After all, didn’t he work in other humans who were terrible sinners? Hebrews 11. I, personally, will be careful in the future when I accuse folks who have (what I think is) faulty theology of being unsaved. Makes me so sad to see Christians bickering over this. Whether we are Calvinist or Arminian, we are saved by the same Christ, his blood, his sacrifice, and it isn’t helpful or useful to argue amongst ourselves to the point of rejecting fellow members of the church! That always floors me because I could no more count on myself to be saved than Mother Teresa could. And she did a lot more works for other I am very sure. She was sadly unsure of her salvation, and I believe it just goes to show that the person who depends or trust on man, any man most especially themselves, will be cursed. You know I was thinking about the verse, how we do not bear the guilt of another person’s sin. The son not bearing the sin of the father, the wickedness of our own sins being on ourselves. The soul that sins will die. So how do they not see, that He must be the One to save them? What part of “I have chosen the way of truth” do they not see? Raghu, Christ bought even the false teachers who would deny Him. I don’t know how Calvinists get around the many verses that say He died for the whole world, and then hold up a couple of proof-texts taken out of context. Yes, I think that your story is typical of an LS/Calvinist type of approach—lots of talk of discipleship and “growth,” but no mention of ever having trusted Christ alone for salvation. One article on our site describes how a Calvinist leader (Paul Washer) actually kept a young child from trusting in Christ alone by telling him, in effect, that salvation was a long (lifelong) process and that the child would have to be watched for a long period of time to make sure that his “salvation” was genuine. No mention of trusting Christ only…. Just like the money-changers made a mockery of the house of God, lordship salvation proponents make a mockery of the gospel. 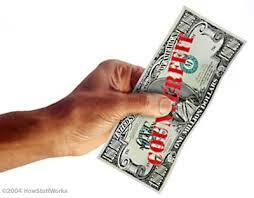 Their gospel is as worthless as a counterfeit dollar and doesn’t save anyone because God is fooled by it. Astute observation about MacArthur’s use of the church name “Grace.” If you search the internet, you’ll find dozens of “Grace Reformed” Churches. Calvinists and LSers love to use the term “Grace.” Too bad that they don’t believe in it! Re. John 10:15, the verse does NOT say that Jesus died “for his sheep only,” as your friend put it. The fact that Christ died for believers in no way negates the fact that he also died for unbelievers. Both are true. The text in no way indicates that Christ Jesus died ONLY for those in the church. Many Scriptures indicate that Christ died for the sins of the WHOLE WORLD: John 3:16-18; 1 John 2:2; John 12:47; John 6:33; John 1:29; John 4:42 (to name but a few). And God wants ALL men to be saved: 1 Timothy 2:3-4; 2 Peter 3:9.
i recently spoke to a calvinist friend about the nature of the atonement. he used john 10:15 to describe how atonement was limited. its the verse where jesus says “i lay my life down for the sheep.” he said Jesus died for his sheep only. if this is not the correct interpretation of the verse, what is it? It’s funny, some friends and I have been talking about why this is so dangerous, and it was for that very reason. That the lie is so close to the truth that it’s hard for most people to spot. When I was searching through some of the transcripts on John MacArthur’s page after He redefined the Narrow Gate and the Narrow Way, I learned to hop, skip and jump to the end first. Because after seeing the way he lays out his sermon (knowingly or otherwise), he cleverly weaves a very Biblical looking fabric, and at the end, he unravels it with twisted truth. In wanting to find other sermons with similar messages, I found that he had recycled that portion of the message over, and over, and over again throughout the years. How many who have attended this church have had the blinds slowly pulled down over their eyes? It is very dangerous, much more so that the seemingly obvious, because it is not as easy to spot, and those who think they are spiritually mature, are not “proving all things”, they are not “searching the Scriptures to see if these things are so”, and they are being deceived, and turning around and deceiving others. Counterfeit currency — Great analogy.. As we hear — when the Treasury Dept folks are trained to spot counterfeit currency, they carefully study the real thing so they will recognize the fake. The same goes for us — we study the real thing, the Gospel of salvation by Grace alone through faith alone in Christ alone – so we can spot the fake.. and warn our brethren of the counterfeit. Great job!! Great stuff, John. Looking forward to reading the comments as they come in on this one . . . In the spiritual sense, thieves for robbing the power of the blood of Jesus, with the LS lie. In the physical sense, thieves for pushing countless LS books on us.